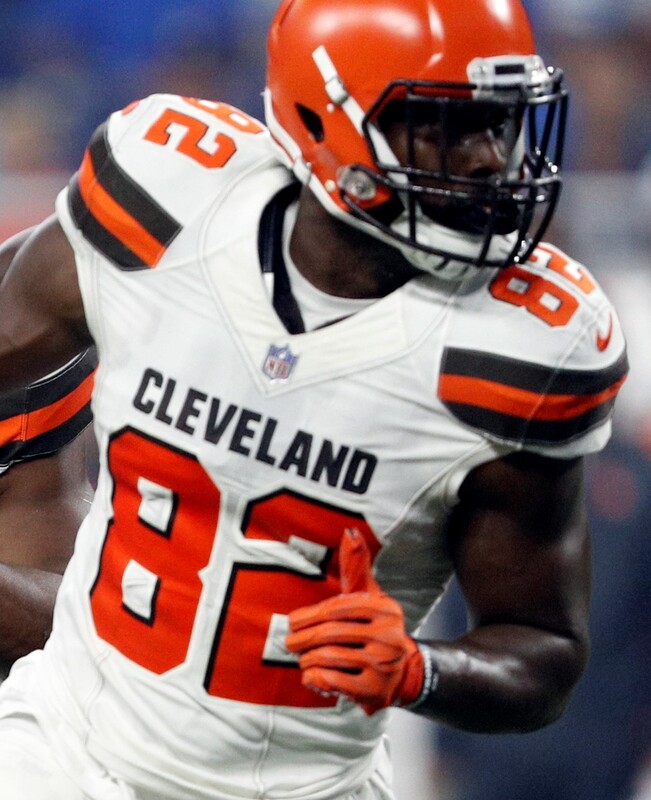 Orson Charles will spend another year in Cleveland, as the Browns have announced they’ve re-signed the veteran fullback/tight end. Charles, 28, appeared in 13 games and made two starts for the Browns in 2018. He saw action on 173 offensive plays, the most snaps he’d played since his rookie campaign with the Bengals in 2012. Charles, originally a fourth-round pick, also chipped in on 265 special teams snaps. Charles spent the first few seasons of his career with Hue Jackson as his position coach in Cincinnati, then followed Jackson to Cleveland in 2018 (with stops in New Orleans, Detroit, and Kansas City in between). Jackson, of course, is no longer with the Browns, but Cleveland’s decision-makers have still opted to bring Charles back for another season. The Browns have added star wideout Odell Beckham Jr. and former Chiefs running back Kareem Hunt to an offense that already included weapons like Nick Chubb, Jarvis Landry, Antonio Callaway, Rashard Higgins, and David Njoku, so Charles probably won’t see much action on offense unless injuries strike. Here are Thursday’s minor moves. Listed below are the Sunday roster moves for the four AFC West teams. Following the 53-man roster cutdown deadline yesterday, many teams will make slight tweaks to their rosters, claiming players off waivers or signing guys who clear waivers. Those transactions for the Broncos, Chiefs, Chargers, and Raiders are noted below. The Giants have signed wide receiver Jerome Lane, an undrafted rookie from Akron. He is the son of former Pitt basketball star Jerome Lane, whose backboard-shattering dunk in 1988 led to Bill Raftery’s famous “Send it in, Jerome!” call. The younger Jerome Lane was a standout college athlete in his own right, as he hauled in 101 receptions (on 17.8 yards per catch) and 14 touchdowns with the Zips from 2015-16. The Browns have signed running back Terrence Magee and waived fellow RB Darius Jackson with an injury designation for his knee. Magee combined for five carries with Baltimore and Seahawks from 2015-16. Jackson didn’t see any action as an undrafted rookie in 2016, but the former Eastern Michigan standout generated some interest after the Cowboys cut him in December. Along with the Browns, who plucked Jackson off waivers, the Eagles, Giants and 49ers put in claims. The Chiefs have signed a pair of players – tight end Orson Charles and safety Damariay Drew – and waived receiver Jamari Staples and safety Devin Chappell. The 26-year-old Charles is the most notable member of the group, having combined for 31 games and nine catches with Cincinnati and Detroit across the 2012, ’13 and ’16 seasons. Drew went undrafted this year out of Cal, while Staples (Louisville) and Chappell (Oregon State) also went unpicked this spring. The Bills have added cornerback Greg Mabin and cut defensive back Jonathan Dowling. Mabin, undrafted from Iowa, spent some time with the Buccaneers earlier this spring. Dowling, who has been in and out of the Buffalo organization since 2015, hasn’t appeared in a game since 2014, when the then-Raider played in seven contests. The Giants have waived corner SaQwan Edwards and re-signed fellow corner Nigel Tribune, tweets Jordan Raanan of ESPN.com. Edwards, a 2015 undrafted free agent who hasn’t yet played a regular-season game, only spent two-plus weeks with the Giants after they added him in mid-May. Tribune, undrafted from Iowa State, first signed with Big Blue on May 11.